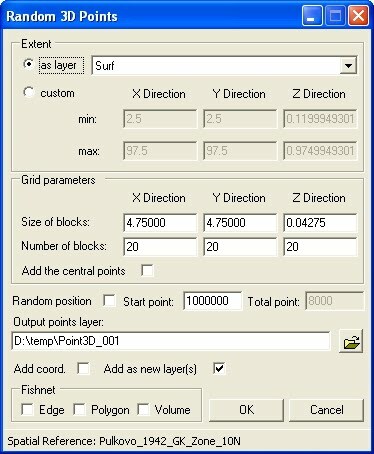 Isoliner is the ArcGIS extension for make grids and points theme with interpolate by Kriging's and triangulation method. 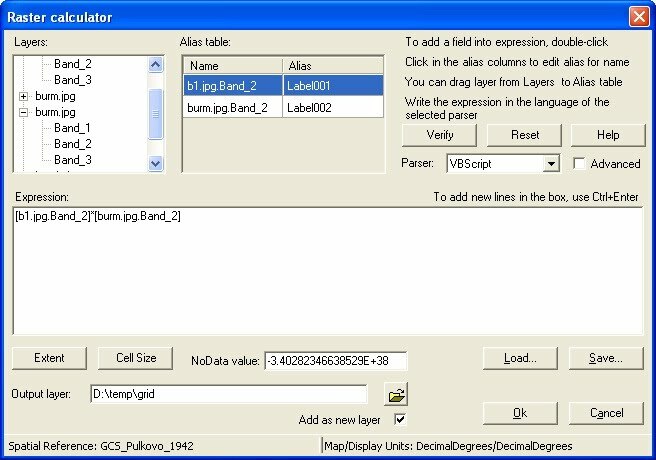 Last version of extension include Slide Analyst as free function. 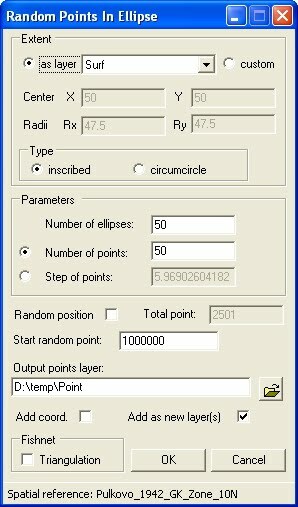 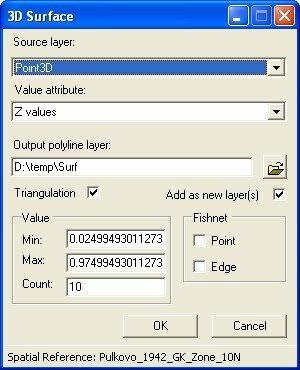 Isoliner include additional 3D functions, interpolation by features, generation of random points. 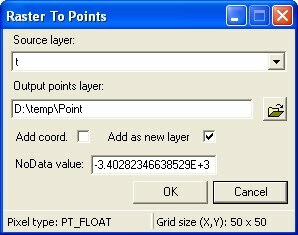 Create GRID and points feature class by selected source layer and Z attribute. 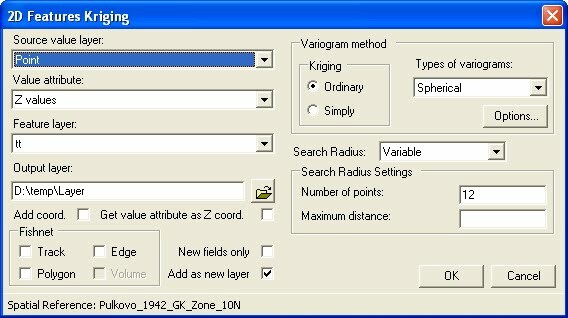 Kriging is an advanced geostatistical procedure that generates an estimated surface from a scattered set of points with z values. 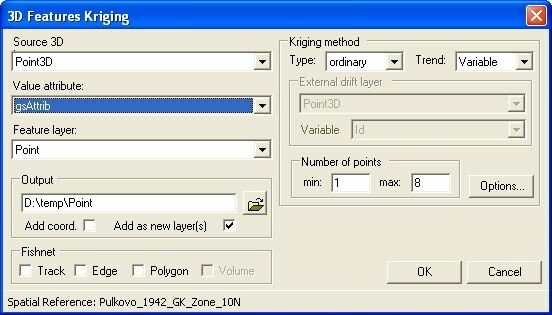 Unlike the other interpolation methods, Kriging involves an interactive investigation of the spatial behavior of the phenomenon represented by the z values before the user selects the best estimation method for generating the output surface. 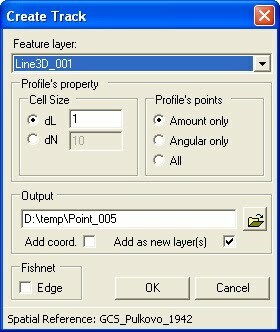 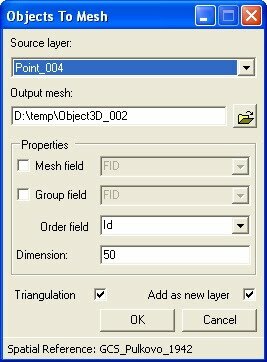 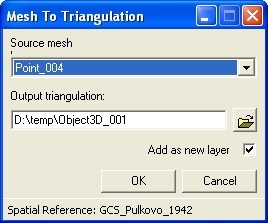 Select point, line or polygon feature class from current document. 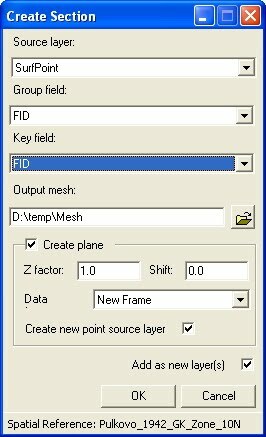 Select Z attribute from list of fields for current feature class. 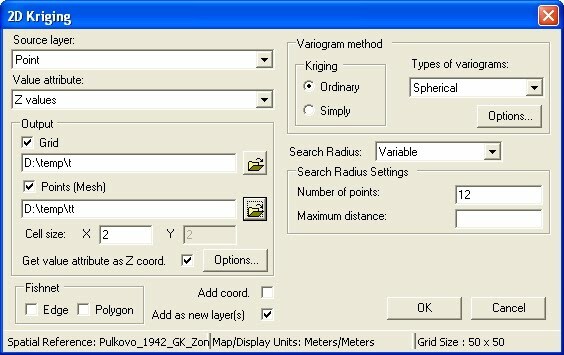 The Variogram method dialog box has several models to choose from. 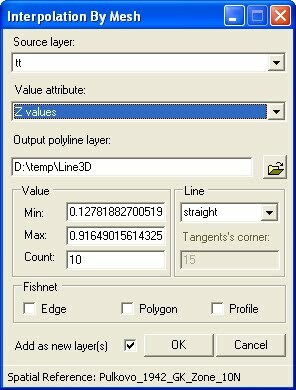 When the Kriging method is set to Ordinary, the available models are Spherical, Circular, Exponential, Gaussian, and Linear. 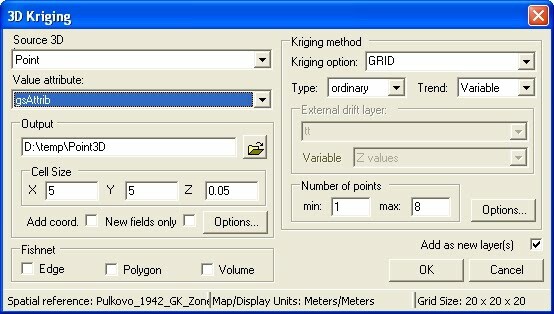 When the Kriging method is set to Universal, the available models are Linear with linear drift and Linear with quadratic drift. 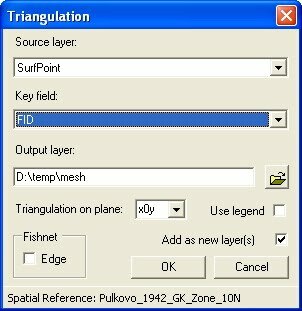 The Universal Kriging types assume that there is a structural component present and that the local trend varies from one location to another. 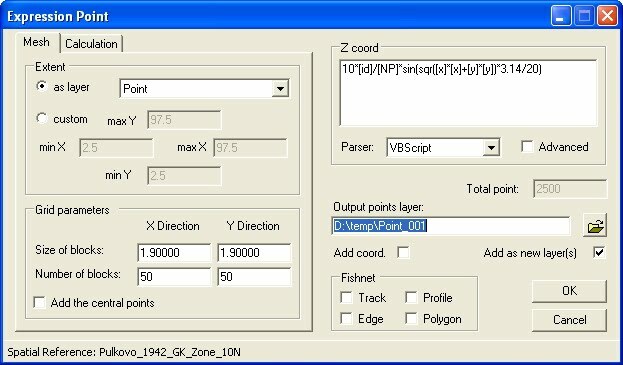 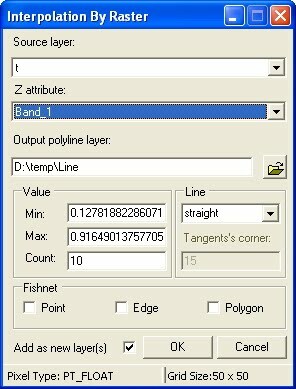 The advanced parameters allow control of the variogram used for Kriging. 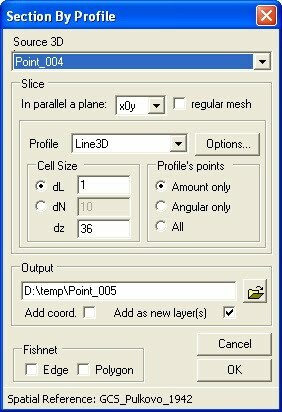 A default value for Lag size is initially set to the default Output cell size. 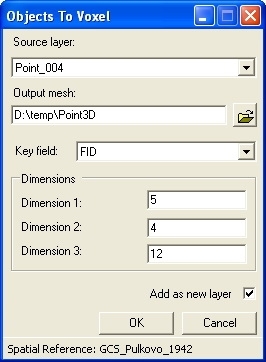 For Major range, Partial sill, and Nugget, a default value will be calculated internally if nothing is specified. 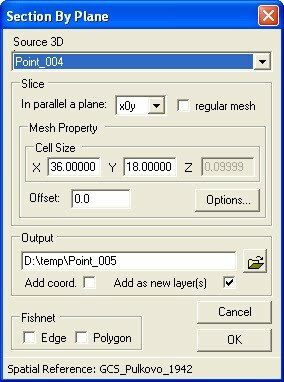 The optional output variance of prediction raster contains the kriging variance at each output raster cell. 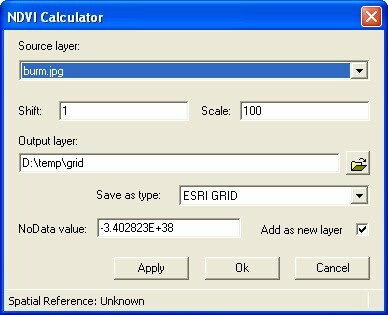 Assuming the kriging errors are normally distributed, there is a 95.5 percent probability that the actual z-value at the cell is the predicted raster value, plus or minus two times the square root of the value in the prediction raster. 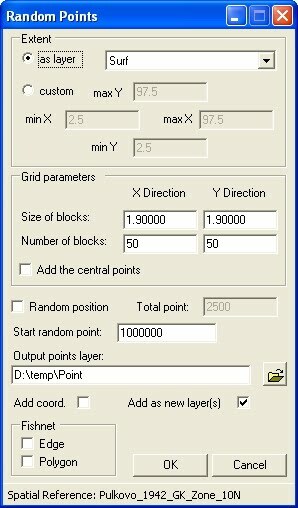 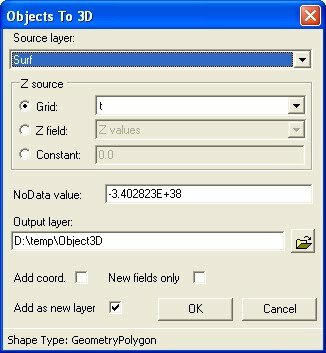 Calculate attributes density and relations.